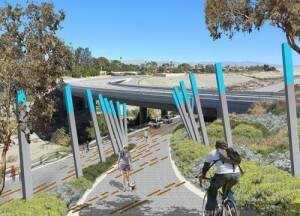 CV Link, the planned multi-use path connecting all nine Valley cities, is estimated to deliver an overall economic benefit of $1.47 billion including $152 million in health care costs through 2035. The 50-mile path will run from Palm Springs to Coachella and offer a safe alternative for outdoor exercise. Health advocates see the link as an opportunity to counter inactivity and obesity by offering a scenic and auto-free place to bike, run, jog, and inline skate. Based on the benefits the project will have on the public health and well-being of District residents, the Desert Healthcare District has committed $10 million towards development. A cost-benefit study report conducted in 2012 estimates that the Link could play a strong role in reducing medical costs from obesity. Studies show that the Coachella Valley has a growing base of retirees and school-aged kids who are overweight, and it is well-documented that increased activity can decrease the incidence of disease and lower health care costs. Public health research links physical activity to public health, and according to a landmark report published by the Surgeon General in 1996, physical inactivity is the number one public health problem we face. Trails provide the ideal link between physical activity and improved national health. A trail in a neighborhood makes it easier for people to incorporate exercise into their daily routines, whether for recreation or non-motorized transportation. Trails by another name are “linear parks”– safe havens for walking and jogging, bicycling, family and social outings that connect people to places they want to go, such as schools, transit centers, businesses and neighborhoods. Communities need trails along streets as well as off the roadways, giving people of all skills and abilities the option to be active. The economic analysis of the Link project conducted by noted local economist Dr. John Husing estimates that a 10% success rate (9,670 people) would be achieved in three years resulting in a $4.9 million savings in annual health care costs. After 2025, an estimated 20% success rate (19,339 people) would save $9.8 million annually and hold at that rate through 2035. Adjusting those figures, the full public health benefit based on a reduction in medical costs would total $152.2 million. In addition, those who worry about safety recognize that over 80% of the valley’s auto accidents involving cyclists, as well as pedestrian fatalities, have occurred within two miles of what will be a safer alternative. The concept for CV Link as a way to connect our Desert cities started decades ago with a 30-40 year projection. In 2011, Supervisor Benoit and elected leaders gave CVAG the green light to move forward, and in only two years, $65 million has been assembled. CV Link is the nation’s largest project of its kind. The 50-mile project will run along the White Water River, or what we know as ‘the wash,’ from Palm Springs to Coachella with future connections to Desert Hot Springs and the Salton Sea. The 20-foot wide path will have a section for walkers, joggers, and bikers and a separate area for small, low-speed electric vehicles like golf carts. The project is currently in the environmental review stage and estimated to break ground in 2016. “Bike trails are not complicated projects and have been built in many areas,” said Kirk. “We are simply putting a new, and hopefully game-changing, twist on a popular idea.” He points to other trails along flood controls such as the Santa Ana River Trail in Orange County and the American River Trail in Northern California. The project will be built on top of the levee, not on the wash floor, to minimize the need for repairs. But in pure Coachella Valley fashion, it is the award-winning design of the project that sets us apart. “CV Link will be an iconic piece of public art. Even from the air it will look special.” The aesthetically pleasing, very high quality design will further entice locals and visitors alike to enjoy the pathway and to take part. According to Kirk, much of the funding for the project comes from funds that could have been spent outside of the Coachella Valley, and construction will not impact our roads. Actually, one of the project’s goals is to relieve congestion during large events and high-season by offering a safe option to take an electric vehicle, bike or to walk. The success of CV Link will be dependent upon design elements which will make this trail safe, aesthetically pleasing and easily accessible. With the help of advocates such as the Desert Healthcare District, the design will also meet the needs of anticipated users of all ages, socio-economic status, abilities and activities – and local health care professionals ‘prescribing’ physically active lifestyles. 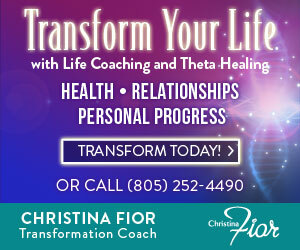 For more information visit CoachellaValleyLink.com. To keep informed of progress, sign up for their newsletter and attend the community workshops taking place throughout the valley. Contact mshoberg@cvag.org. Now this is what I call investing in our future! No, not everyone will use it but not everyone uses our public tennis courts, our art museums, parks and swimming pools but considering that a freeway interchange can cost $50 million alone, I’d say this is definitely a reasonably priced, proactive approach to improving our health and safety. Thank you for your comments, Paul! We will certainly pass them onto CVAG. Hope to see you out on the Link some day soon!